We know your global team is incredibly busy. They continuously prioritize tasks, keep studies on track and on budget and communicate seamlessly with Sponsors and sites. Having a relevant, flexible and affordable CTMS that enables your study teams to do what they do best was top of mind when we built SimpleTrials CTMS with your needs in mind. CTMS includes an integrated eTMF! Pick from the DIA reference model, the SimpleTrials model or a build-your-own eTMF model. 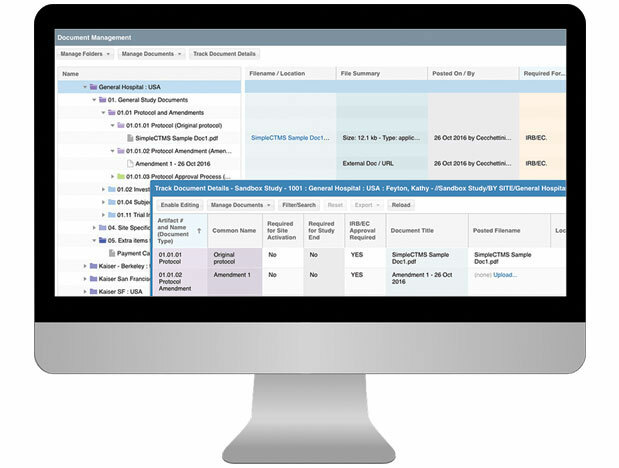 Utilize document tracking features, file upload capabilities or both. Ready for a comprehensive CTMS toolkit?